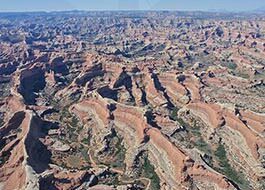 Get ready for the flight of your life on this amazing trip over one of the most popular film and tourist locations in the world as well as Canyonlands National Park. “The Land of Long Shadows” has been captivating imaginations since it’s discovery and you now have the opportunity to experience it in a whole new way. Come see The Mittens formations, Stagecoach, Merrick Butte, Yei Be Chei, Wetherill Mesa, Totem Pole, Thunderbird Mesa, and much more. 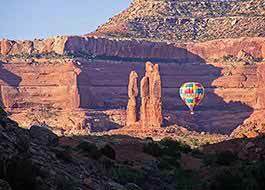 “Wow” your friends and family with pictures of these spectacular monuments from the air looking down on gigantic rock formations that have been standing for millions of years. This national monument has been the location of many movies including Mission: Impossible II, Stagecoach, Windtalkers, and more. The "Air Guide" pilots at Redtail will give you more than a round trip shuttle, they will make you laugh, inspire you with stories, and point out the very best views the landscape can offer - and that's a lot! 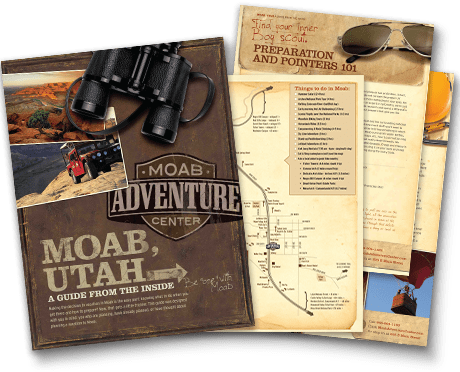 You'll have made a new friend, and when you come back to Moab again someday, they will be waiting by their plane to show you something new. 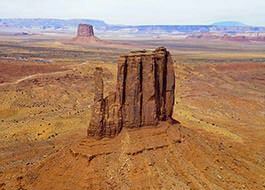 Iconic Monument Valley is iconic "West" because it is open space. Open and empty, just as you'd expect to see the desert. Yes, you can drive there on smoothly paved, arrow straight and classic empty highways, but that's kind of what keeps the place so empty...it's not conveniently located! 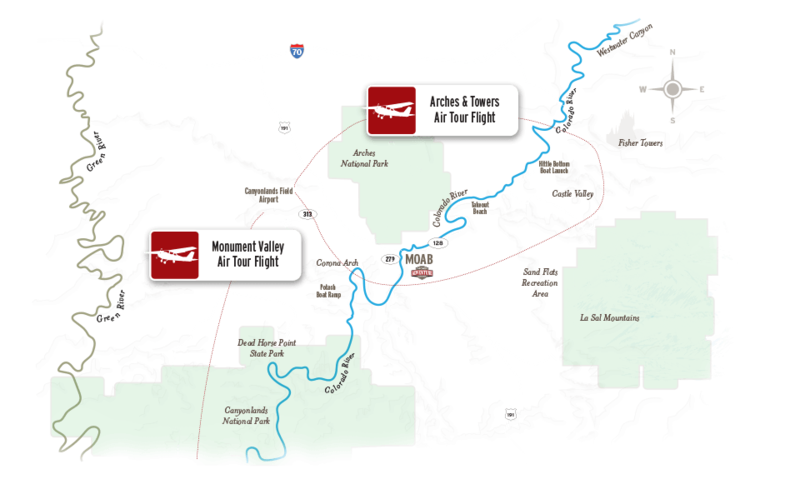 That's why an air tour puts Monument Valley back on the Moab Vacation Menu! On your flight south toward world famous Monument Valley, you will pass over parts of Canyonlands National Park, and even catch glimpses of the recently designated Bear's Ears Monument - all scenery that will make your senses reel while in the space between the runway and Monument Valley itself. 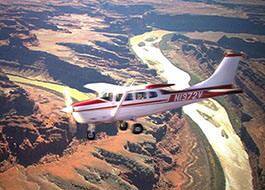 Shane – our pilot on the Monument Valley 2 hour Scenic Flight– was fantastic. Very informative and also did not "chat" the entire trip. That gave us the opportunity to ask questions and quiet when needed due to the beautiful views. Our pilot, Gene, inspired us with his competence, made us feel completely comfortable, taught us A LOT about the area and the forces that created the amazing landscape. He made our incredible scenic flight the highlight of our trip which caused my 14 year old son to express his gratitude enthusiastically! Quite an accomplishment. Thank you! 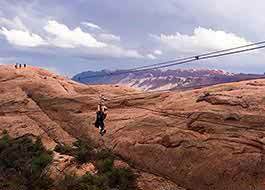 Glide over the sandstone fins and gaps above Moab with a series of zip line cables and bridges. 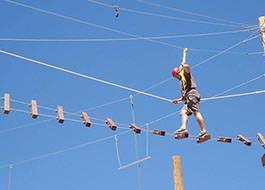 See Moab from a whole new perspective with this exciting 2-hour high ropes course adventure.